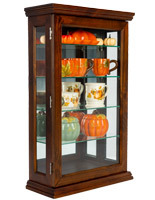 Choose between hanging this wall curio cabinet or using it as a countertop unit. 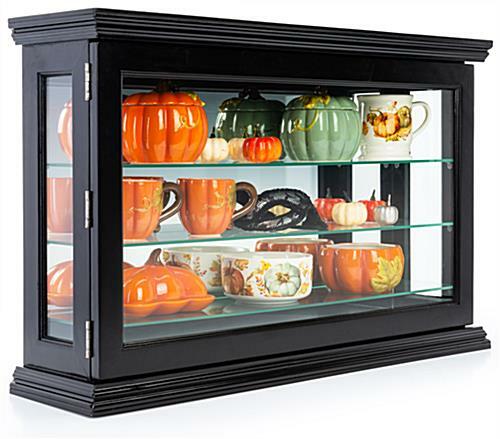 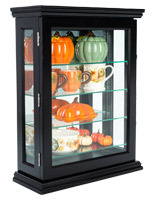 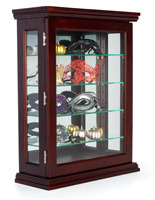 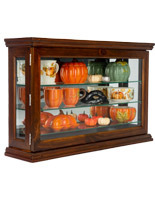 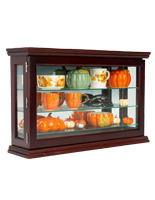 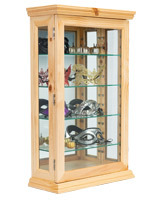 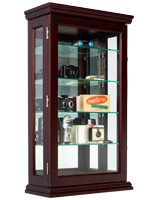 This display case is lined with 3 adjustable height glass shelves for jewelry, collectibles, and keepsakes. 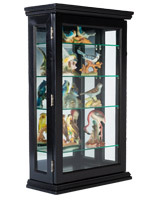 A locking door keeps all your treasures contained within the wall curio cabinet. 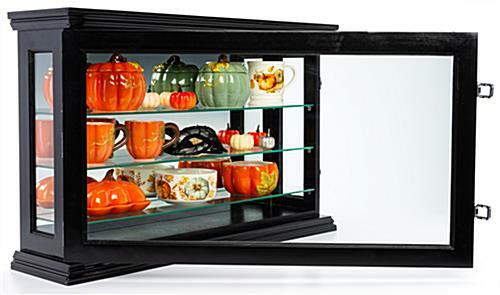 The mirrored back of the display case allows collectibles to be viewed from every angle. 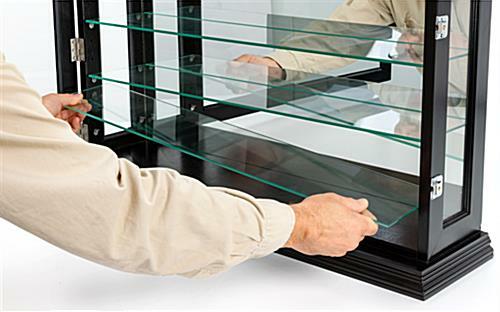 You can remove and adjust the glass shelves, allowing you to make a configuration that will best showcase your treasures. 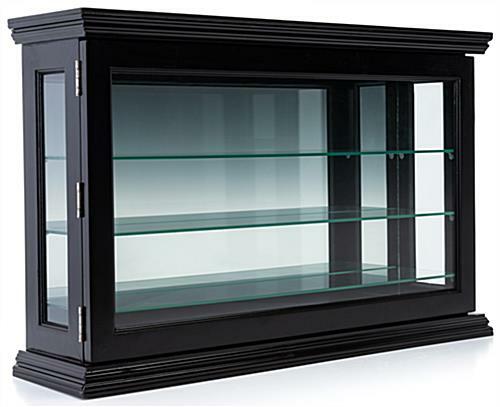 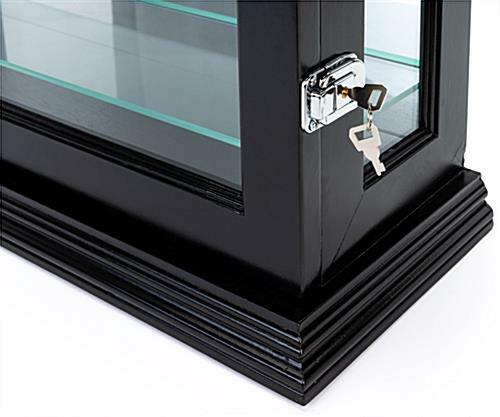 Whether you choose to hang the wall curio cabinet or place it on a countertop, this display case with lock is a terrific choice for exhibiting your prized possessions. 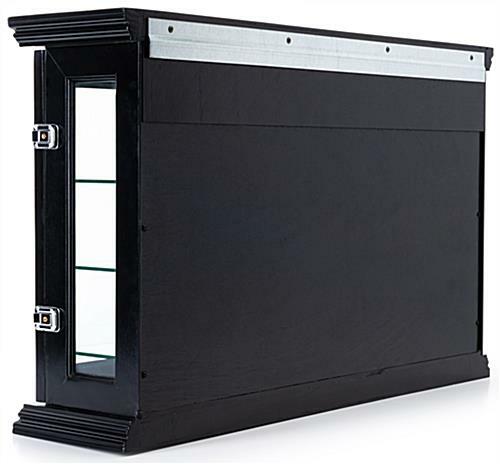 34.3" x 22.0" x 8.5"